Two of the latest releases from Juro Oz Pro Tackle are the Eureka 3D Baitfish and Eureka Octane Jig. The Eureka 3D Baitfish has an extraordinarily realistic baitfish finish. 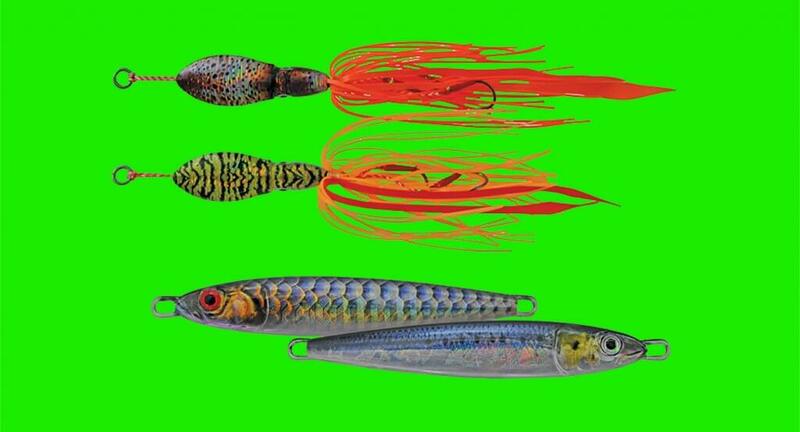 These lures can be used as a micro-jig or as a casting/trolling lure, and have a superb action. The 3D Baitfish comes with a wire through the entire body, and is rigged with a quality in-line single hook, making it harder for fish to throw the lure. It weighs 40g and comes in six fish-catching colours. The Eureka Octane Jig is an ultra-realistic squid/octopus imitations designed for slow pitch jigging. They have exceptional realism and a tantalizing action. Each Octane Jig features a solid ring with quality Dacron running to twin assist hooks that feature ultra-sharp points that have the fish hooking themselves. Octane Jigs weigh 50g and come in six proven colours that imitate a squid perfectly. Five of those colours also feature a highly luminous underbody for maximum attraction.